I am focused on providing a range of massage therapies to meet your individual needs. With a variety of holistic treatments to choose from.....I hope to treat you very soon! Look around my website and if you have any comments or questions, please feel free to contact me. I hope to see you again! Check back later for new updates to our website. There’s much more to come! 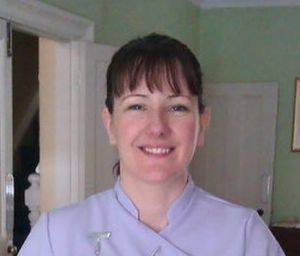 Cathy Hagan is an experienced and gifted Massage Therapist who has been treating a range of conditions for over 15 years. Her qualifications include: ITEC Swedish Massage, Diploma (Passed with Distinction) in Aromatherapy and Traditional Chinese Medicine, Certificate in Seated Acupressure, Certificate in Aromatherapy Facial Treatments and most recently a diploma in Deep Tissue massage and Level 1 and 2 Diploma in Thai Yoga massage. also a Diploma in Hot Stone Massage. Cathy's treatments are firmly rooted in the holistic tradition of treating the whole person and her free consultation is about addressing both physical and psychological issues in each individual client.